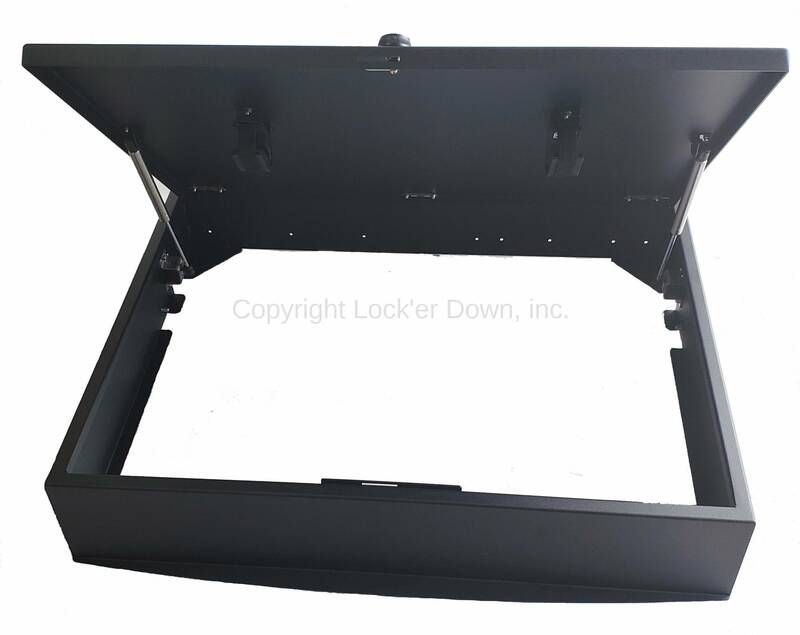 This is Lock'er Down's answer for the rear of a 2014 up Jeep Cherokee. 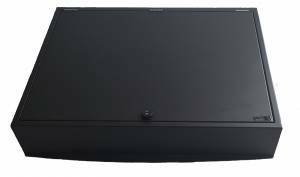 Uses Self tapping screws to floor. Counter balanced door with gas spring assisted lid.